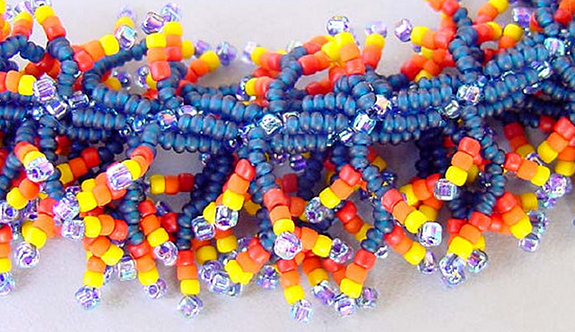 Learn to do kumihimo – the beautiful Japanese braiding technique – with beads! Use a braiding disk for consistent results, starting with the easiest cords. Progress to more intricate designs and discuss the various results achieved with different materials and with the traditional marudai stand. To take home with you! 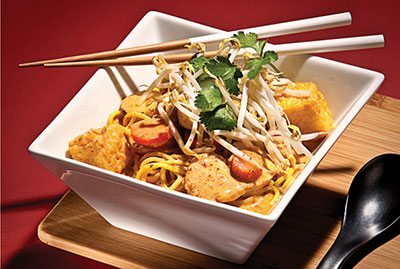 Explore exotic food ingredients, recipes, cooking techniques, and presentations of cuisine from around Asia – China, Japan, Thailand, Malaysia, Korea, and Vietnam. 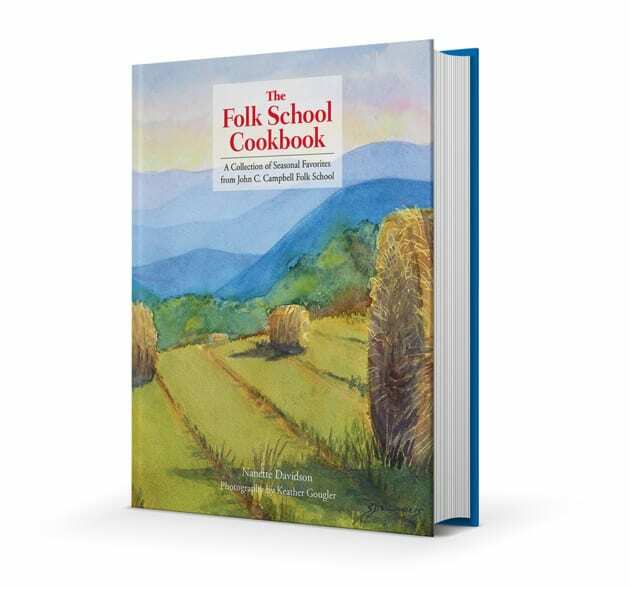 Demystify Asian ingredients, cooking tools, and kitchen techniques to create authentic and delicious dishes, along with a five-spice dry rub to take home. Using both Eastern and Western techniques, we will turn plain paper into virtual kaleidoscopes of color and design. 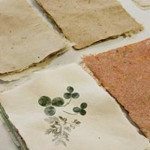 You’ll make a good assortment of one-of-a-kind papers, ready to use for a variety of purposes – and if time permits, we’ll make a few simple projects in class. 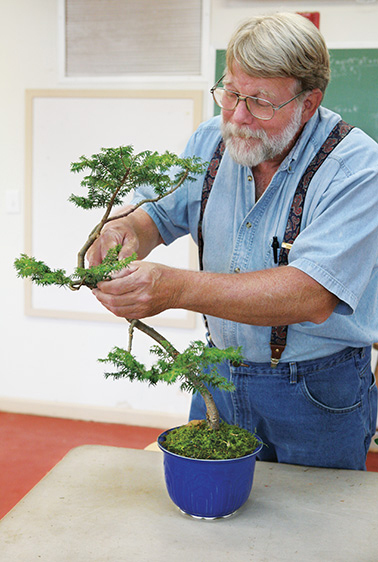 Instructor Tim Ryan gives an elegant shape to a hemlock tree. In this introduction to a gentle art, learn techniques of nursery-grown bonsai. Root pruning, top pruning, soils, containers, wiring, and daily care will be covered. Create a bonsai each day in various styles and get an introduction to the philosophy surrounding this ancient art. Tie, dye, shift, and weave. This week will focus on Japanese warp and weft ikat weaving, in which the threads are dyed in blocks and shifted during the warping and weaving process. Work will be done with cotton dyed with indigo and cold-water dyes. We will have time to experiment with shibori and sakiori (rag weaving), along with finishing the weaving into completed pieces. Immerse yourself in beauty and nature through three Japanese disciplines: Sumi-e ink painting, Haiku poetry, and Ikebana flower arranging. Master the traditional brush strokes of sumi to create compositions that express the emotion of your subjects. 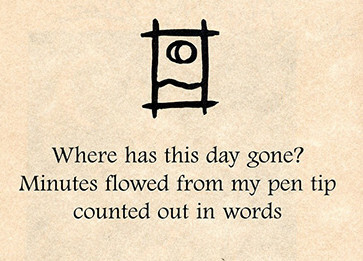 Then use sumi to illustrate your haiku, lyrical poetry of 17 syllables in three lines. As you experience Ikebana flower arranging, natural materials become your medium. 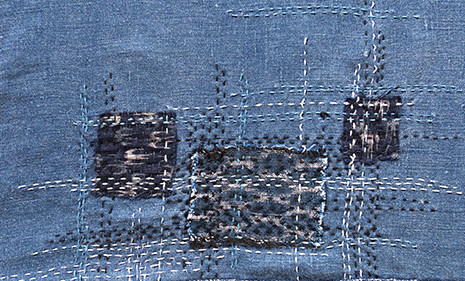 Detail of a denim shirt embellished with Boro techniques by Karen Swing. 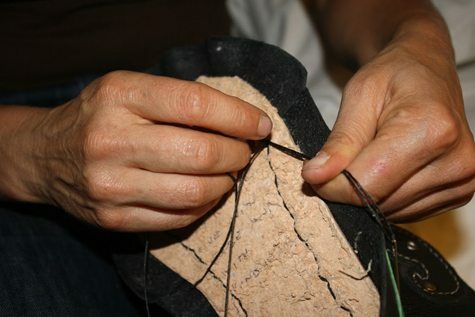 Boro is a traditional Japanese method of mending and extending the life of everyday textiles, now honored as an art form. Traditionally, the fabrics were indigo-dyed, and the patched items became a wonderful mosaic of blues, covered with beautiful sashiko hand stitching. 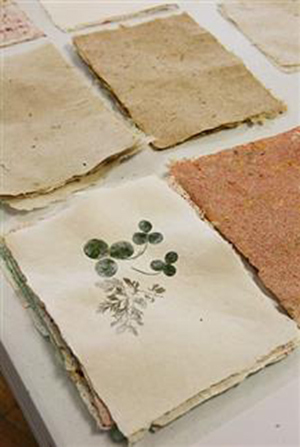 Start with your own denim scraps and, as the technique is learned, create a sample book and bag – perhaps to carry future Boro projects! Focus on making objects used in the Japanese tea ceremony such as tea bowls, fresh flower containers, serving trays, and water jars. We will make black bamboo and deer-tail brushes for decorating. 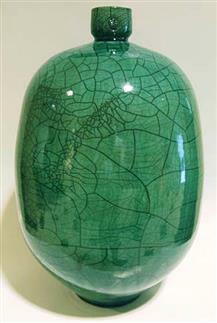 Work will be fired in two fiber-drum raku kilns, and the class will also build and fire a salku kiln. 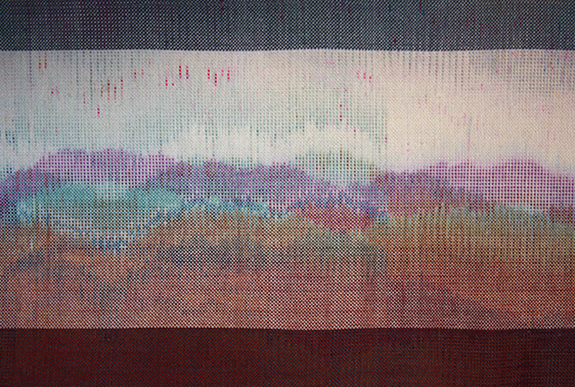 Shibori, a Japanese dyeing technique dating from the 8th century, produces delicately patterned, “slow” cloth using hand stitching, folding, tying, and dyeing. 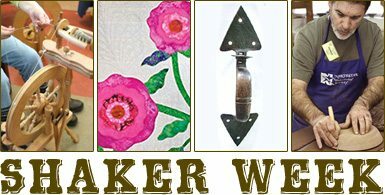 Learn several shibori techniques including arashi (pole wrapping), mokume (stitching & scrunching), itajimi (folding & binding), kumo (wrapping around stones), and more. Working with both silk and cotton, we will paint and dip-dye brilliantly colored scarves, cloth, and shirts and marvel at the results. Ribbon origami is a method of working with ribbon that involves folding and pleating to create striking ribbon cockades, cocardes, and hatbands that resemble Japanese origami. 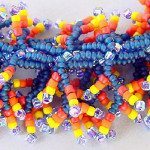 Take the mystery out of these remarkable trims by learning at least 6 ways of transforming ribbon lengths into embellishments for hats, clothing, gifts, and home decor items. 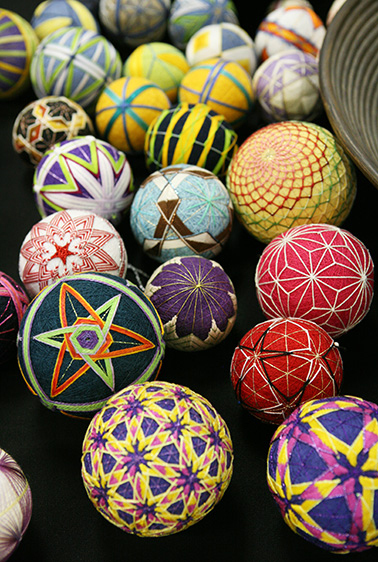 Temari is a folk craft born in ancient Japan from the desire to entertain children with an embroidered toy thread ball. Today, the lovely thread-wrapped, embroidered temari balls are given as tokens of good luck. The home craft is now an art form. This class allows students to start from the beginning, and patterns will also be available for intermediate stitchers to tackle. Click on any of the class names above to find out more course information and to register online. Visit our website to browse all our 2015 class offerings. 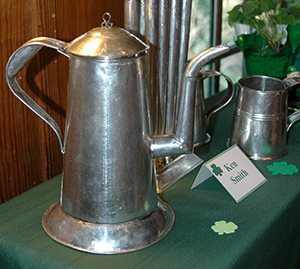 Request a Catalog online, view our Catalog eBook, or stop by the Keith House lobby to pick a 2015 Catalog up anytime.